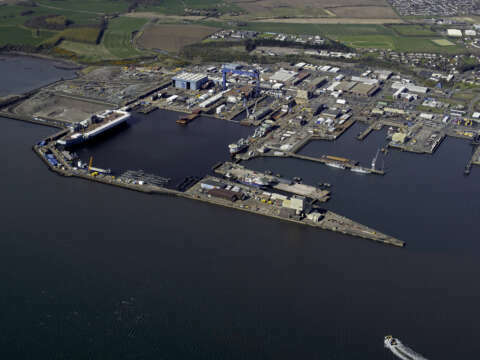 Situated on the Firth of Forth, Port Babcock Rosyth offers an extensive and diverse range of commercial and engineering support services. Port Babcock are able to offer a complete service from project concept to completion and have recently invested in site improvements including new workshops, fabrication bays and remote overhead cranes. Babcock are currently assembling one of the largest modular build projects in the UK - the Royal Navy’s Queen Elizabeth Class aircraft carriers. As part of the ongoing investment in the facilities at Rosyth, Babcock is proposing to develop Babcock International Container Terminal to the west of the current operational site. Once constructed it will provide deep water access for a state of the art multimodal container terminal. Currently progressing Marine Licence application for associated dredging in the Firth of Forth.